Suitable for open fires, log burners, barbecues and all other appliance lighting applications. Each box contains 30 cubes. Package Dimensions: 170x90x90mm. 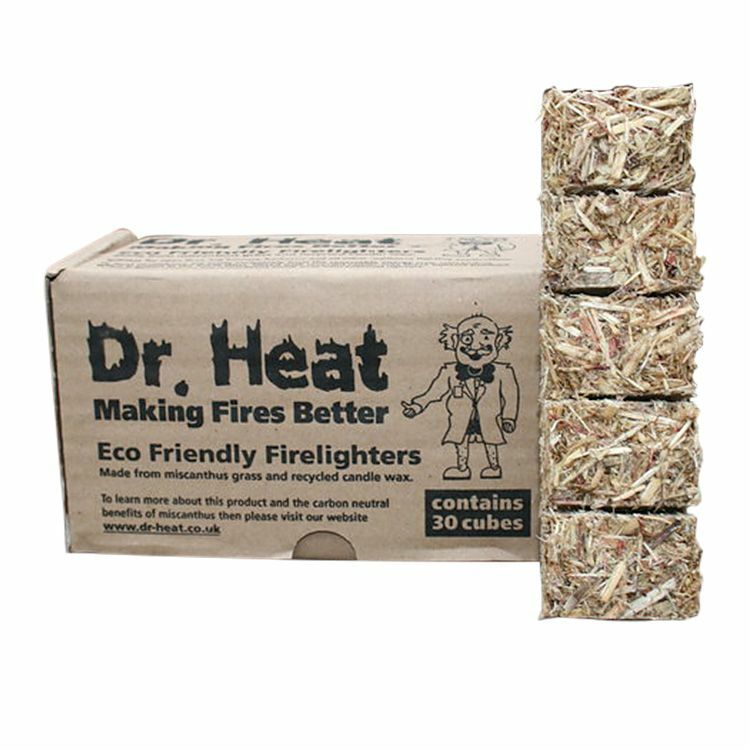 Dr.Heat Eco Friendly Firelighters. Made from Miscanthus grass and recycled candle wax. 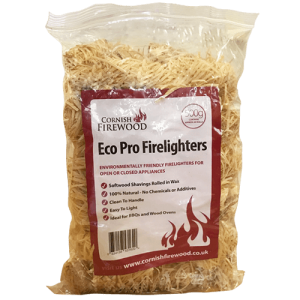 Suitable for open fires, log burners, barbecues and all other appliance lighting applications. 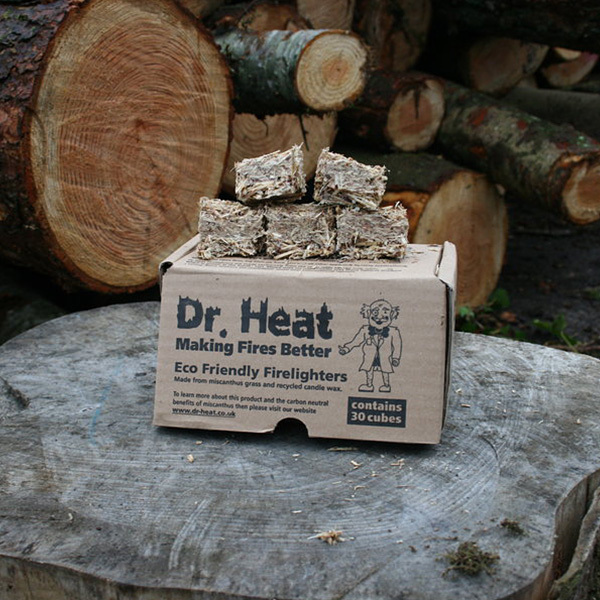 Made exclusively from the renewable energy crop miscanthus grown locally in the South West. Mixed with recycled candle wax these lighters produce a strong flame, without the unpleasant smell over conventional lighters.